San Luis Obispo, California, Sat 30 September 2006 1 - 1617. 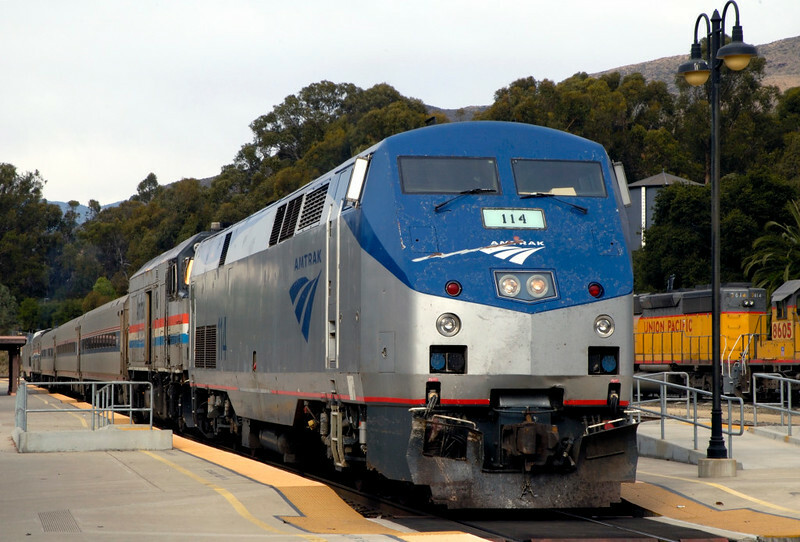 Amtrak P42DC 114 & former F40PH 90208 stand with train 798 to Los Angeles. Pacific Surfliner trains like this work in push-pull mode, and P42DC 122 was on the rear.